Six different sized core drillings were taken. Each of the six holes are then prepared in a different way. 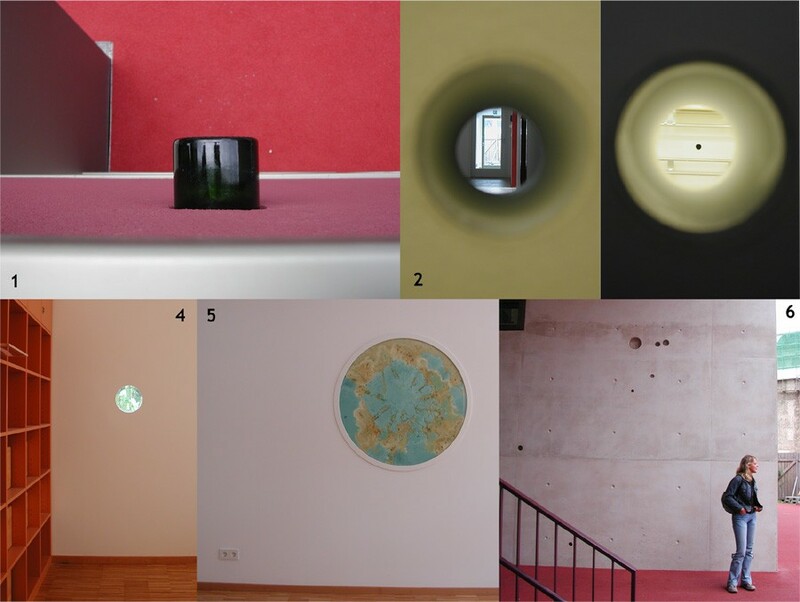 The peepholes are located at spots appropriate for children to look at and through. An empty bottle lies in this hole. It can be used like a fixed peephole; one can see what is happening in the next room through the streaky glass. This hole is bored from the inside to the outside of the building. It opens a view onto the street and courtyard. The floor hole offers a view through the floor of the common room to the two empty floors below. Glass flooring seals the hole. 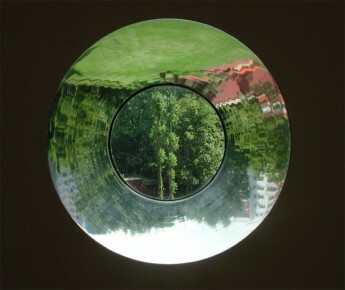 The walls of this cylindrical hole are made of mirrors. When one looks through it, the mirrors distort what one sees. This hole, stuffed with colored construction foam, can be looked at from both sides. The insulation foam fills the entire space of the hole up to the glass of the porthole. These holes are core drillings that were not completed. All of the signs of measurement and work that are necessary to prepare the core drillings remain visible at the as-if holes.